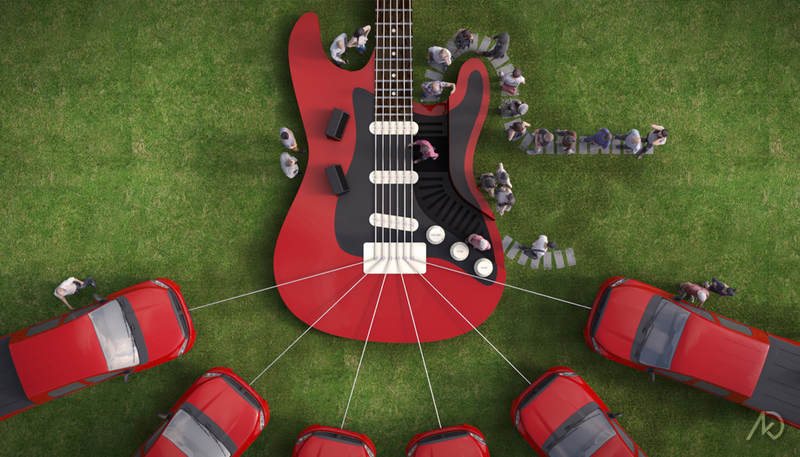 These conceptual 3d illustrations show a design idea pitched to Dodge Ram. 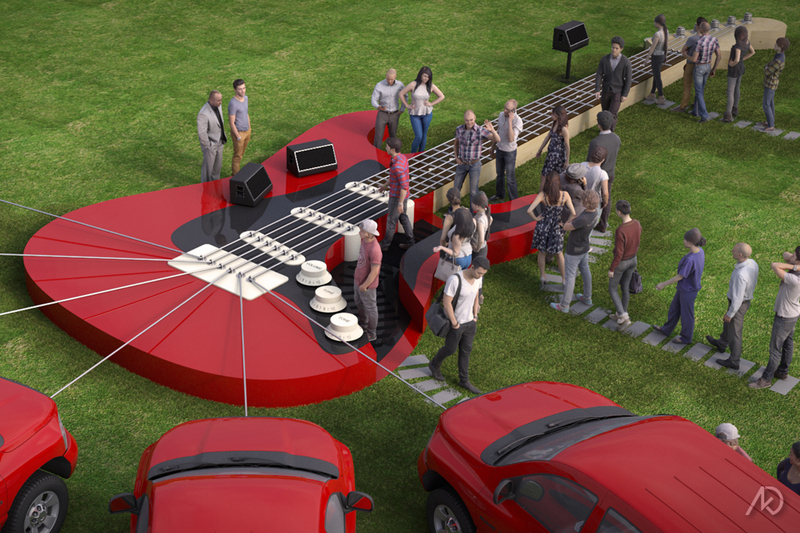 The idea is to have a large interactive/playable guitar made of Dodge Ram winch cables. The larger-than-life exhibit was originally set for the Texas State Fair, but did not end up happening. the strings/cables at the base and neck of the guitar. There are also three knobs that can help control sound and effects when being played. 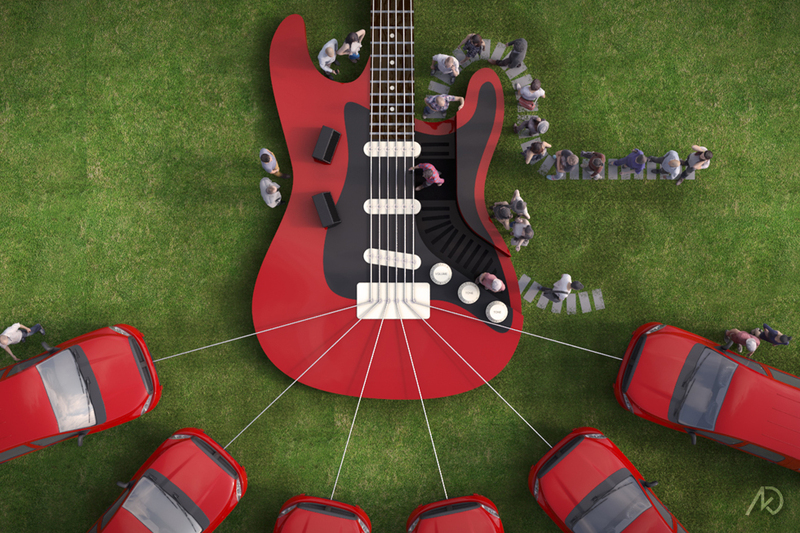 The whole guitar-playing experience becomes a team effort of three to five people at once if desired.